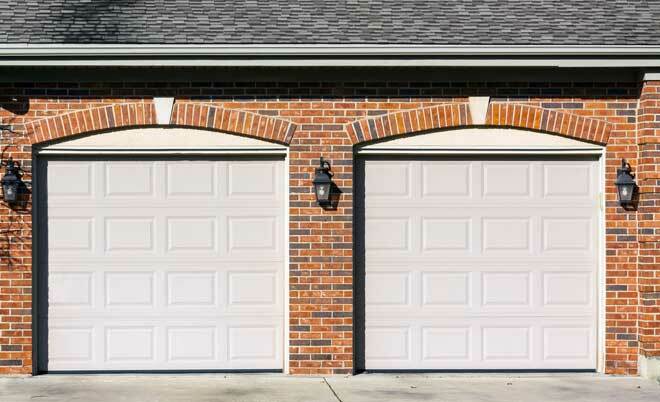 Whether your garage is attached or separate, the garage door is an important part of your home’s security. Chances are, if your garage door isn’t functioning properly, you have a broken torsion spring. These springs cannot be repaired and must be replaced. But before you attempt to replace the spring yourself, it is vital to understand how they work and the risks involved. Unlike mouse traps and the doors on digital cameras, a garage door requires a large enough amount of pressure that the torsion springs used are capable of removing limbs if not handled carefully. As it is possible for even seasoned professionals to be injured while replacing these strings, it is paramount to understand the risks involved and follow safety procedures precisely to minimize the chances of an accident. Perhaps the most important safety warning for torsion spring replacement is understanding why they break. Garage door springs are designed to bear the heavy weight of the door. The high level of torque necessary creates stress on the spring, limiting its lifespan. Modern garage door springs are rated for ten thousand cycles. Each time you open the garage door counts as a cycle, meaning heavy usage will shorten the lifespan of your springs significantly. Rust will also drastically increase the risk of your springs breaking; therefore use extra caution if rust is present. There are sometimes sizing issues in older winding cones which require special attention. For example, Crawford and Mckee winding cones were originally designed for a five-eighths inch bar. To avoid a serious risk of uncoiling, it is advised that you grind down a five-eighths inch bar to fit instead of using a half-inch bar. Other outdated models, such as BarCol, Raynor, and Overhead suffer from inconsistently-sized holes. The lack of standardization raises major safety concerns due to the high amount of play they sometimes have. Newer models have less than one and one-half inch of play to reduce the risk of the cones spinning loose. Hire a professional if there is more than two inches of play. Due to the safety hazard posed by incorrectly handling a torsion spring, you may opt to have the repair done professionally. A pair of replacement torsion springs will generally run between $80 and $200 and should be bought from the manufacturers or a reliable reseller. Extended lifespan springs will last approximately four times as long as standard springs at twice the cost. Professional repair typically runs between $45 and $65 for labor. Unless there are additional fees, you may expect to pay approximately $250 for regular torsion spring installation and $450 for extended lifespan springs. Since the advent of electric garage doors, there have been numerous variations in design, especially in regards to winding coils. Modern garage door manufacturers tend to adhere to a standard design, often it making it easier and safer for the DIYer to perform their own repairs. As it is difficult to cover all variations in a single guide, you should be aware of any deviations in your garage door design and hire a professional to perform repairs if you have an older or unusual setup. Not all torsion springs are the same length, so you will need to measure the existing springs. Take a tape measure and check the length of each spring, being careful not to touch the spring or winding coil. In the event the coil has broken, you will need to loosen the set screws of the cone and slide it until the pieces of spring are touching. Your replacement coils are measured based upon overall length, the length of 20 coils, and the inside diameter of the coils. Most overhead doors use torsion springs on both sides of the door. Some doors involve only one spring or a different configuration. To avoid injury, do not follow these instructions if you have a low-headroom door or unusual configuration. Stand each spring upright against the door. The end of the left spring at the winding cone will be facing left and right on a right spring. The winding cones may also be color-coded: black for left red for right. You will need to mark the torsion shaft to help you balance the doors later on. Use a file or marker to mark a line on the torsion shaft and each drum, being careful not to touch either. If the cables have come off of the drums, wrap them back around before marking. Be warned that serious injury may result from directly touching the drum or shaft while the spring is still wound. You should never use any tool other than a properly fitting, 16-inch long winding bar to unwind a spring. The ends should not be rounded or cut at an angle. If you do not already have a winding bar, you may find 32-inch long metal rods at most hardware stores and have them cut in half at the time of purchase. Insert the bar into the bottom-most hole on the winding cone and turn it down slightly to ensure the set screws are tight. Place your measuring tape behind the bar against the garage door and gently move the bottom of the bar from side to side. If you are showing more than two inches of play, do not attempt the replacement yourself. Ideally, there should be less than one and one-half inch of play. Next, make sure the bar is inserted all the way. You should be able to hear when it hits the torsion shaft. Use electrical tape to mark the end of the bar where it enters the cone. This will help you verify the bar is completely inserted each time you change holes. Insert one of the bars into the cone and hold it firmly. One bar must be kept in the cone at all times during winding and unwinding to avoid spin outs. Use a small adjustable wrench to loosen the set screws, transferring the torque to the bar. Over-tightened screws may take one full turn or more. You may have to loosen the screws several times before the torsion spring has completely unwound. In some circumstances, the spring may refuse to unwind, even after the set screws are completely removed. This is often caused by a distorted torsion shaft or rust. Pull down on the bar, being ready for the cone to loosen at any point. If this has no effect, use a hammer to tap the bar beside the cone to force the latter loose. Keep a firm grip on the winding bar at all times and be ready for potential problems caused by the cone suddenly coming loose or breaking. Once the cone is loosened, turn the bar until it is flush against your garage door. Insert the second bar completely and raise it slightly before attempting to remove the first, and then continue turning the cone, repeating this step until the spring is fully unwound. You may need to tap the shaft with your hammer again during the process if there is a distortion. Note that a sudden slip of the cone could force the winding bar down causing injury if you do not maintain a constant grip. Repeat this process for the second spring if it remains wound and intact. Remove both bolts on the central cones. You may have to use a cable tie or vice grip to secure the spring bracket if it is slotted. Remove the single bushing from the center cones and leave it on the shaft by the center spring bracket. Next, slide the torsion springs outward towards the cable drums. If the torsion shaft has been distorted, you may need to use a file to smooth out the damage. Loosen the set screws on the cable drum so that it turns freely and remove the cable. Slide the drum away from the bearing. Try pulling the shaft through the bearing. If it will not slide, try tapping the headplate with a hammer to loosen the shaft. Repeat for the other side. Check the anchoring bracket to ensure the lags are tight. If they’re loose, replace them with larger lags. You may also need to file the end of the shaft to allow the drum and spring to slide off. Using either lubriplate grease or motor oil, lube the bearings. Replace bearings labeled ADH. Straighten the bearing plate if it is leaning. Working one side at a time, slide the drum and spring off of the shaft. Immediately dispose of the old spring in a trash receptacle. Slide the new spring onto the shaft all the way to the anchor bracket, making sure you have the proper side. The stationary cone is larger, and goes on the shaft first. You can check to ensure you have the proper spring on by either examining the color markings on the winding cone or verifying that the outer end of the spring’s wire is pointing upwards. Now, slide the cable drum back onto the shaft and reinsert the latter into the bearing. Align the markings on the drum and shaft before hand-tightening the set screws. If you cannot turn the drum, you will know that the set screws are back in their original grooves. Tighten the screws another quarter to half turn. If you have a heavy wooden door, add an additional quarter turn. It is important to avoid over- or under-tightening the screws. Use some needle-nose pliers to bend the end of the cable 90 degrees. Place the end completely into the slot on the drum, making sure that both the cable and cable stop are inserted straight and not at an angle. The rounded end of the cable tip should be facing outwards. Pull down on the drum to tighten the end of the cable. Twist the shaft to further tighten the cable and attach a vice grip so that the grip is tight against the garage header. This will help prevent the cable from coming loose while aligning the other drum and winding the torsion springs. Finally, install the other drum and cable. Remove the cable tie or vice grip if you have a slotted bracket. Lube the shaft at the bushing and check for any damage. Slide both springs to the bracket and turn them so that the downward-pointing end of the spring wires are facing you. Add the bolts and hand tighten the nuts until both cones are flush with the bracket. Be careful not to over-tighten. Mark the shaft where the winding cone ends. This mark should disappear inside the cone if you are winding properly. Insert your winding bar in the bottom hole of the cone and turn up 90 degrees, inserting the second bar. This is one quarter turn. Remove the upper bar and turn the lower one 90 degrees so that you may reinsert the first bar for the second quarter turn. Seven foot doors will require 30 quarter turns, and eight foot doors require 34. With your bar still fully inserted into the bottom hole, mark the shaft one quarter inch away from the winding cone. Once the shaft is properly marked, pull the winding bar up slightly and toward the middle of the door. Use the other bar to tap the inserted bar just below the cone. This will nudge the cone towards the shaft mark. If at any point the inserted bar begins to slip out of the hole, bring it against the garage door and insert the second bar into the hole above and lift slightly so that you may anchor the first bar properly in the hole, then remove the upper bar and continue nudging the winding cone. Once the cone had reached the mark, hand tighten the set screws until they meet the shaft, being careful to keep the winding bar slightly away from the door and angled inward so that the cone doesn’t slip. Use your wrench to tighten the screws a further quarter to half turn. Carefully pull down on the bar to test the tightness of your set screws. The door should lift slightly if the screws are properly tightened. If not, or the bar begins to slip, add another quarter turn. Remove the vice grip from the shaft and place it on the vertical track three inches above one of the rollers. Now wind and stretch the second spring. Insert your other bar into the cone and remove the bottom one. Now slowly pull down on the bar, lifting the door until it hits the vice grip. The door should lift the bar as it closes. If it doesn’t, raise the bar until the door is closed. If the door tries to lift the bar when holding the latter lightly, you have either wound the spring too tight or it is too strong for your door. If the door remains on the floor when you lift the bar, it is safe to remove it from the cone. Gently open and close the door. Properly installed springs will allow the door to stay open, closed, or half-closed. Also, check the balance of your door and add motor oil to the springs to prevent rusting and reduce friction damage. Clopay Door is the manufacturer of the EZ-Set Torsion Spring System, available at Home Depot. They have published a supplemental guide for DIY replacement to assist homeowners using their system. DDM Garage Doors provides a comprehensive guide on measuring torsion springs. Engineer Richard J. Kinch, PhD, provides an in-depth guide on torsion springs, how they work, how to replace them, and how to spot various garage door-related scams.